Whiplash is absolutely stunning...and a lot bloodier than expected! The music, the acting, the directing, the writing, the plot & the nonstop intensity are all pure perfection. J.K. Simmons & Miles Teller are both brilliant. How Miles Teller didn't receive a Best Actor nomination is beyond me! Do yourself a favor & go see Whiplash immediately!! Per Wikipedia, "Caravan is a jazz standard composed by Juan Tizol and first performed by Duke Ellington in 1936. Irving Mills wrote seldom performed lyrics. Its exotic sound interested exotica musicians; Martin Denny, Arthur Lyman & Gordon Jenkins all covered it. Woody Allen used the song in two of his films, Alice & Sweet and Lowdown. 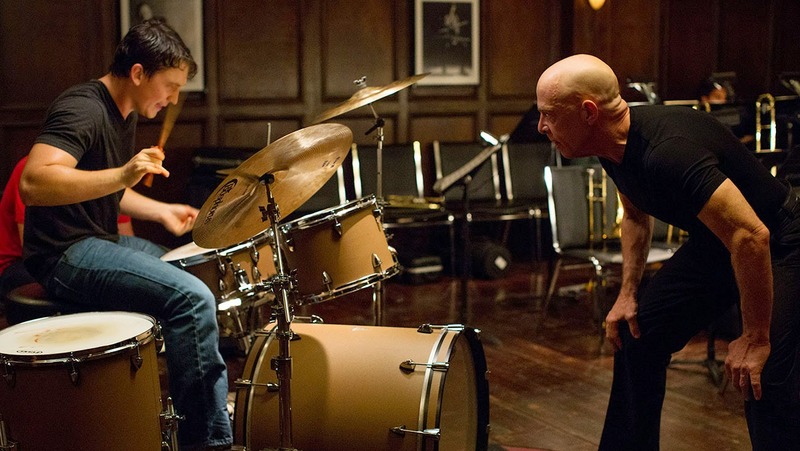 The song is also heavily featured in the 2014 film Whiplash as an important plot element. The Mills Brothers recorded an a cappella version, making the instruments' sounds with their voices. There are more than three hundred and fifty recordings of this song by Duke Ellington's orchestra, the great majority of them now in the public domain."